Getting Started With Qt for WebAssembly | Новости | UNIX News - новости Юникс систем. This Qt build is different from standard desktop builds in two additional ways: It is a static build, and does not support threads. Depending on how your application is structured and which features you use this may pose a problem. One way to find out is to make a separate “-static -no-feature-thread” desktop Qt build, and then debug/fix any issues there. The reason this may be preferable is that the build-debug cycle is usually faster on desktop, and you have a working debugger. Finally, build the application. Qmake is the currently supported build system. Here, the app.wasm contains the majority (if not all) of the application and Qt code, while the .js files provide loading and run-time support. The .html file provides the html page structure which contains the application as a <canvas> element. The default version of this file displays a Qt logo during the loading and compile stage and contains a simple HTML page structure which makes the application use the entire browser viewport. You will probably want to replace this with application-specific branding and perhaps integrate with existing html content. For qtloader.js our intention is to have a public and stable API for loading Qt-based applications, but we are not there yet and the API in that file is subject so change. The files are plain data files and can be served from any http server; there is no requirement for any special active server component or plugin. Note that loading from the file system is not supported by current browsers. I use Python http.server for development, which works well. gzip is a good default choice as compressor and is supported by most web servers. brotli provides a nice compression gain and is supported by all wasm-enabled browsers. The final result of all this should be your application running in a web browser, here represented by the Slate app created by my colleague Mitch. 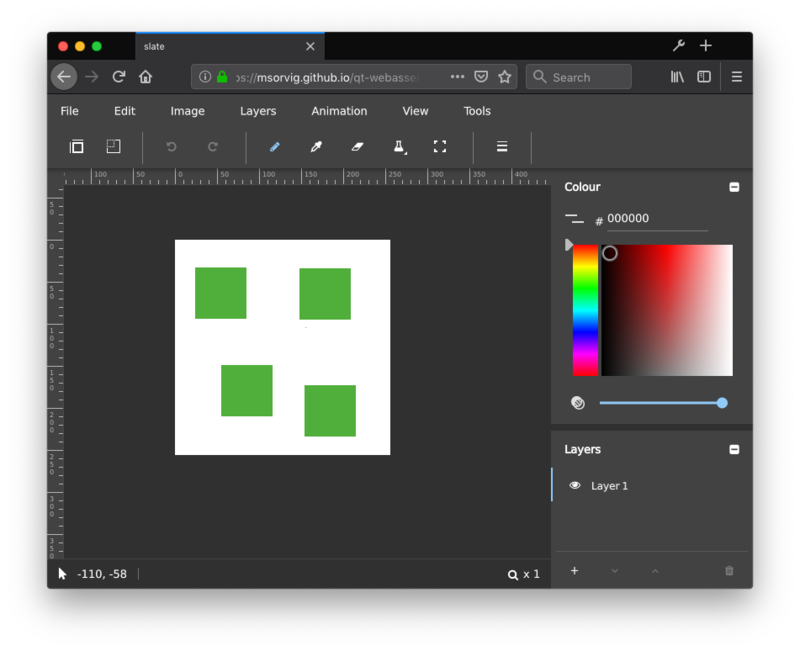 Slate is a Qt Quick Controls 2 based image editor. A live version is available as well. If you’ve looked at this demo before the news is that it should be actually usable now: local file access is possible and there are few or none visual glitches. For those that are attending Qt World Summit in Berlin next month: I look forward to seeing you there. If you a are not going then let me link to the webinar once again. 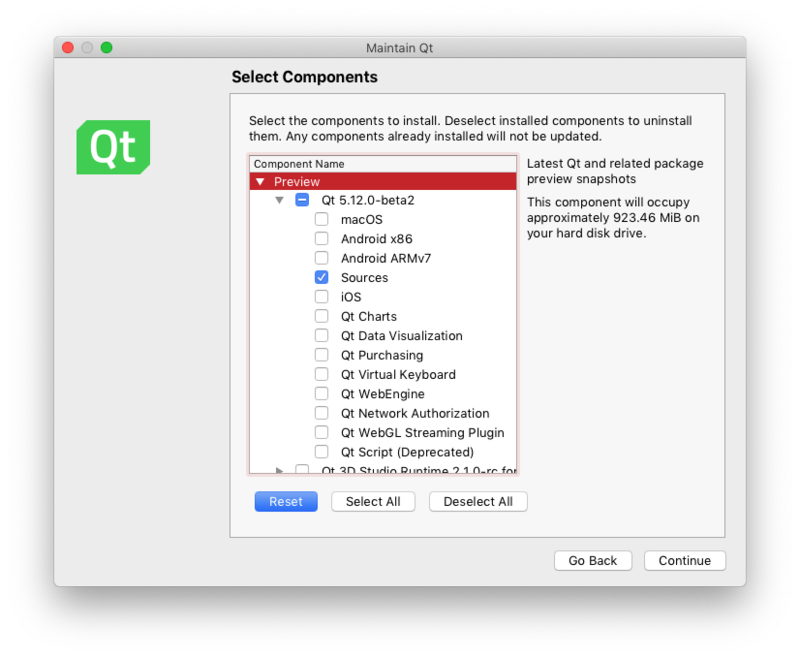 The post Getting Started With Qt for WebAssembly appeared first on Qt Blog. The Libre Graphics Meeting organization has started a donation drive: the money collected is meant to make fund the travel and accommodation cost of as many developers of free graphics software as possible. Генерация: 0.957 сек. и 13 запросов к базе данных за 0.886 сек.